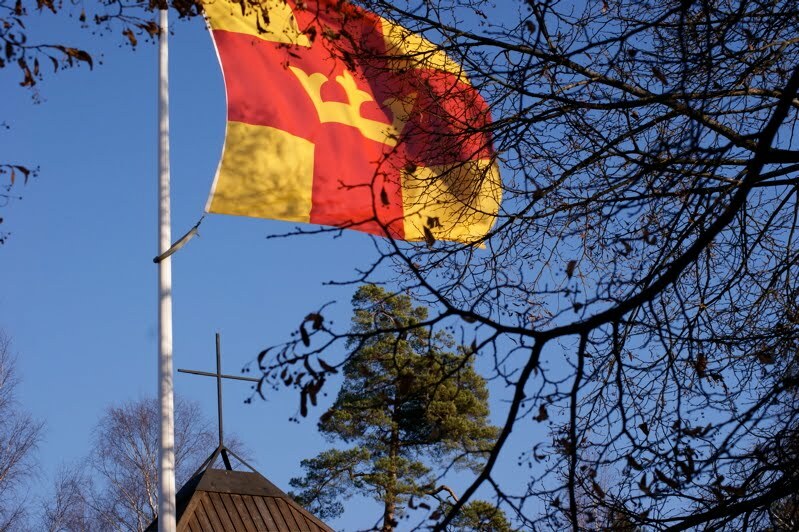 The Church of Sweden (Svenska kyrkan) has its own flag. The crown symbolizes the crown of Christ (and not somebody else's crown) so there's no need to change the flag just because the separation between Church and State is now a fact. That's true. For whatever reasons, the colours vaguely remind me of a fast-food chain (or two) but it's a lovely flag and I'm glad I did spend some time trying to get this shot right.